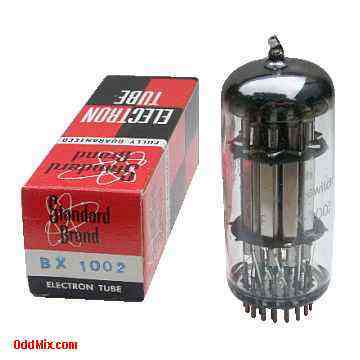 This is an original Burroughs BX 1002 Binary or Decade Counter neon tube. A rare antique, hard to find, classic collector's special decade counter vacuum tube. These original vintage tubes made in the 1970s for early large scale computers, binary and digital counters equipments and special circuits. Excellent for antique instrument restoration projects or to set up a private tube museum. This is a NOS (New Old Stock) is new (factory fresh), unused condition.